The Monta Rosa is designed to meet the classical demands of general mountaineering. The semi-rigid front points and asymmetric fit give it plenty of power, and the plastic cradle means these can be strapped on the go. The New Classic binding system is simple, reliable and easy. 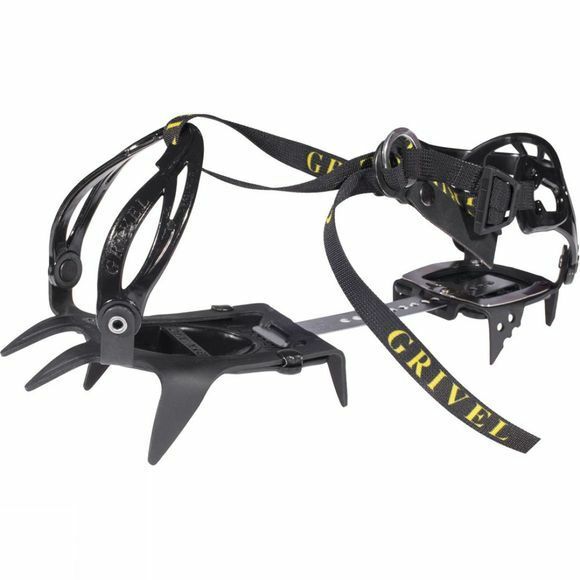 Included in the design are anti-balling plates which help to stop the build up of snow under the boot, which are great for winter walks and general ski tour use when you don't want to spend time shaking off your boots or digging out compacted snow every 5 minutes.